Reminiscing on some life lessons learnt from a recent trip I took, I was reminded of the story, ‘The Tortoise and the Hare'. Tired of constantly being jeered and belittled by the arrogant Hare, the Tortoise challenged the Hare to a race. Predictably, the Hare sped off leaving the slow Tortoise behind, and rather over confident in his ability to win the race; he decided to take a midway nap. Upon waking, the Hare smugly sprinted towards the finish line, only to realise that slowly but surely the Tortoise had managed to overtake him during his nap, and went on to win the race. Now there ARE many lessons that can be deduced from this analogy, from how the Hare’s arrogance proved to be detrimental to his victory, to the wisdom and grit shown on the Tortoise’s part. Nevertheless, I want to shed some light on a key factor that can very easily be overlooked: the ‘power of perseverance'. The Tortoise would have persisted in his pursuit, even though winning seemed like an impossible task. Spectators would have scoffed at the idea of him crossing the finish line before the unquestionably faster Hare. Thoughts of doubt very likely crossed his mind, but he would have quickly replaced them by re-focusing on the objective - his desired end result. The track was probably harsh against his inner shell, the pressure on his feet oftentimes overbearing, and the heat from the baking sun overwhelming. Despite it all, he would have consistently pressed ahead fuelled by the force of his dogged perseverance. Just like Mr. Tortoise, sometimes you need to challenge yourself to change the status quo, or what is expected of you. People may make you feel inadequate, and society may have labelled you, but YOU need to persist in shutting them out. For years I thought I was at a disadvantage to my peers, as I didn't quite look the same and so accepted the label that was constantly chucked at me. This led to me developing a negative mindset regarding myself and what I could do; inevitably limiting my accomplishments. Having recently taken on a different perspective, I now try to act upon what I know to do, no matter how daring it may seem. Little by little, I know that progress is being made as I diligently head towards my purpose. 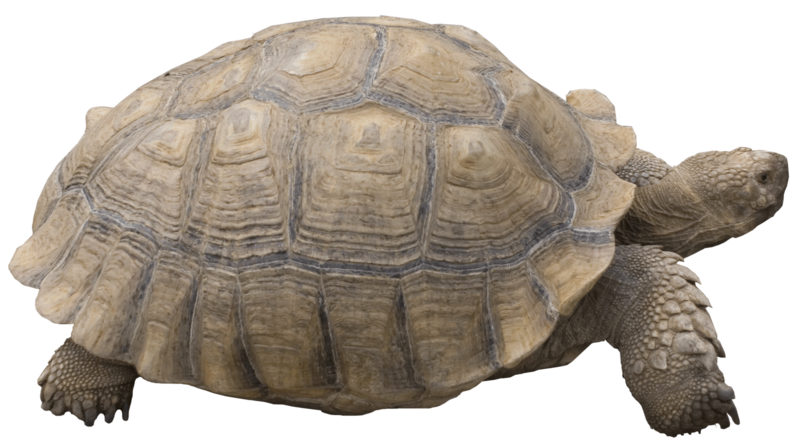 The Tortoise ran his race at his own pace, so just like him, we must not compare or measure ourselves against the speed of others; which only serves as a distraction. Remember that the race is not for the swift*. If you don't like where you are, do something about it. Get out of your comfort zone, and change your environment. This will help you see differently, which will change the way you act. You cannot do the same thing, and expect different results. Regardless of whether or not the tortoise had a strategy to winning; after analysing the pompous character of the Hare, and hoping that he would indeed take that nap. Or whether he just took a chance stirred by the irritation of his situation, one thing remains true: He MOVED and then he WON! This my friends, is what perseverance looks like, and this is what the Tortoise possessed that we all need.